Serve the World here at home and around the world. 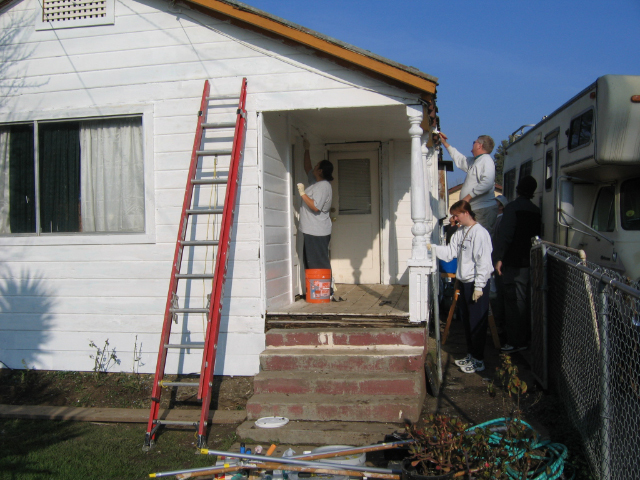 Make a difference in the lives of people in our South San Jose Community through service projects. OR, sponsor a child in DR Congo and together with all of the other sponsors you will be providing the financial resources to transform their community, bringing health care, education, clean water, and economic opportunity to the poorest of the poor. Love In the Name of Christ connects people in South San Jose with the resources of local churches helping to meet the needs of those in our community, all in the name of Christ. Budget Mentoring Program: Multi-week program to train budgeting habits to stop the cycle of being in debt. A day dedicated to praying for and sponsoring kids in the DR Congo. There's more to do! Our goal is to bring clean water to 95% people living in this region. Let's make this happen! Learn more about opportunities to serve.